Citric acid, silicon dioxide, calcium and sucralose. As a dietary supplement, take one serving (1 scoop) with 6-10 ounces of ice cold water when an increase in focus is desired. You may take an additional serving once tolerance is assessed. Do not exceed two (2) servings in a 24-hour period. This product is only intended to be consumed by healthy individuals over the age of 18 years. Consult your physician prior to use if you are pregnant or nursing. Consult your physician prior to use if you are taking any medications or have any medical condition. Do not exceed recommended use. Improper use will not improve results. Discontinue use and seek professional assistance immediately if you experience unwanted side-effects. Discontinue use 2 weeks prior to surgery. Keep out of reach of children. Do not use if seal under cap is broken or missing. As a dietary supplement, take one serving (1 scoop) with 6-10 oz. of ice cold water when an increase in focus is desired. You may take an additional serving once tolerance is assessed. Do not exceed two (2) servings in a 24-hour period. THIS PRODUCT IS ONLY INTENDED TO BE CONSUMED BY HEALTHY INDIVIDUALS OVER THE AGE OF 18 YEARS. Consult your physician prior to use if you are pregnant or nursing. Consult your physician prior to use if you are taking any medications or have any medical condition. Do not exceed recommended use. Improper use will not improve results. Discontinue use and seek professional assistance immediately if you experience unwanted side-effects. Discontinue use 2 weeks prior to surgery. KEEP OUT OF ReACH OF CHILDREN. STORE IN A COOL, DRY PLACE. TAMPER EVIDENT: DO NOT USE IF SEAL UNDER CAP IS BROKEN OR MISSING. Finally, a nootropic supplement for keto dieters! Read the most up-to-date information in our CogniKeto blog post. 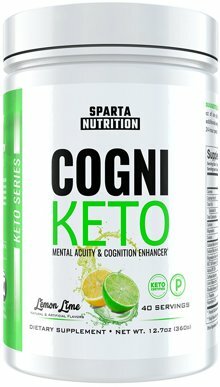 CogniKeto: A Nootropic for Keto Dieters! Perfect for those who need to focus for a few hours, CogniKeto can help you block out distractions and focus on the task at hand. Ideal for eSports Athletes, recreational gamers, students or for those who have a mentally demanding job, CogniKeto is the perfect coffee replacement for a focus boost. Need to get a lot done? Look no further. With a premium blend of brain boosting ingredients such as Alpha-GPC, Lion's Mane Extract, and Huperzine-A, CogniKeto will dial you in for tunnel-vision focus to get everything on your To-Do List crossed off. 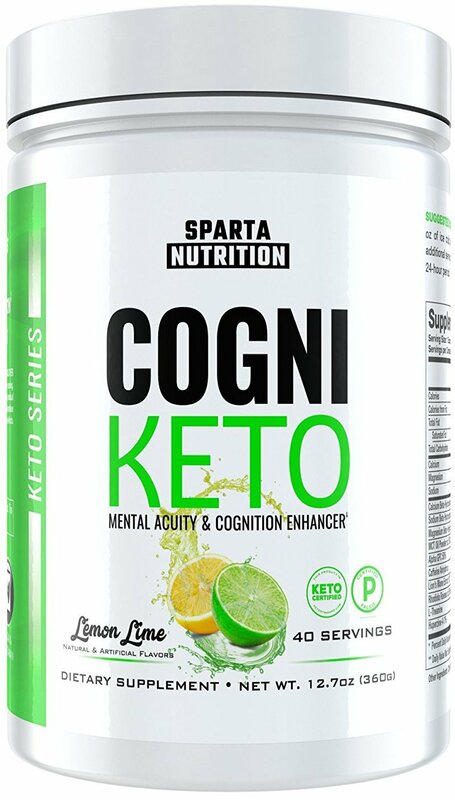 10g of Beta-Hydroxybutyrate Salts were included in CogniKeto for not only help signaling your body to switch into Ketosis, but for the research on exogenous ketones and brain function. Research shows that when ketones are the primary fuel source for the brain, it can provide advanced cognitive benefits and support overall brain health and function. With the inclusion of Lion's Mane Extract, CogniKeto helps enhance the production of Nerve Growth Factor. Increases in Nerve Growth Factor have been shown to help support brain health and also enhance memory recall. Students, no matter the age, could always use a boost cognitively to help recall specific information. Perfect to take when studying for a big exam, CogniKeto will help support memory recall and information processing. eSports athletes love CogniKeto for its ability to support improved reaction time and mental reflexes.